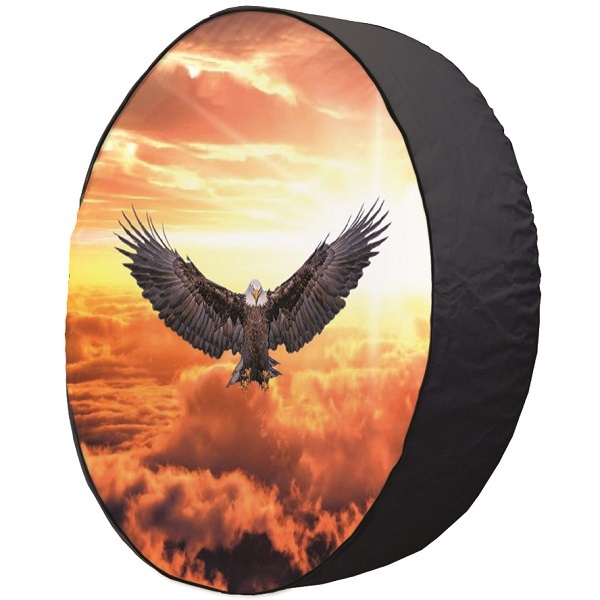 Our Divine Background with Eagle tire cover is proudly made in the USA. With this tire cover, you can dress up your vehicle or RV with style. 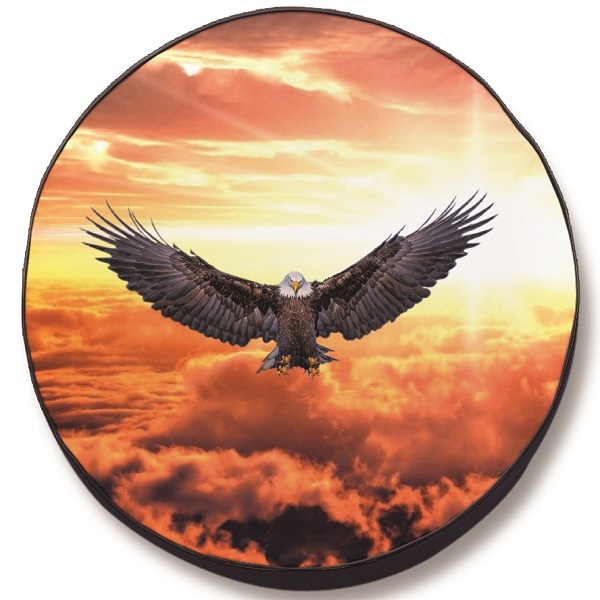 These custom made wheel covers are custom made to fit tires up to 37 inch diameter. If you need an exact fit tire cover for your spare, slap one of these high quality vinyl tire covers on your vehicle or camper. Dress up your ride while protecting your spare with a tire cover today! Brought to you by Team Sports Covers.